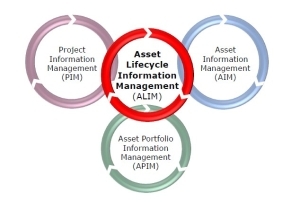 ALIM is an information management model that encompasses project information management (PPM), asset portfolio information management (APM) and asset information management in a single comprehensive approach. An ALIM strategy has become an essential consideration for all who operate in today’s dynamic markets. ALIM provides the key to remaining competitive through the provision of complete, comprehensive and granular data through a unified approach to managing information. Mr de Leeuw’s presentation took the concept of ALIM further by applying it to real world challenges facing major industries, including low commodity prices, the impact of modular equipment, lines and production units, industry fragmentation and conglomeration and the increasing pressure for enhanced efficiency. He also examined how ALIM can work in combination with trends such as Cloud technologies, mobility and the Industrial Internet of Things (IIoT) to provide a competitive advantage and the metrics needed to measure it. For more information, please contact BlueCielo.